Our surgery center is designed with the most advanced medical technology and amenities to make you feel more at ease. Operated by Ohio Specialty Surgical Suites (OS3), our facility is staffed by specialists who are experts in treating a wide range of musculoskeletal conditions. The orthopaedic surgeons at OS3 are committed to your total recovery after surgery, offering preoperative classes so you know more about your procedure, post-operative instructions for a more effective recovery, and overnight suites to provide greater comfort and care during your recovery. Ohio Specialty Surgical Suites has the distinction of being the first ambulatory surgical center in the country to receive advanced certification for total hip and knee replacement by The Joint Commission. At Spectrum Orthopaedics, you can expect the highest level of clinical excellence and convenience. 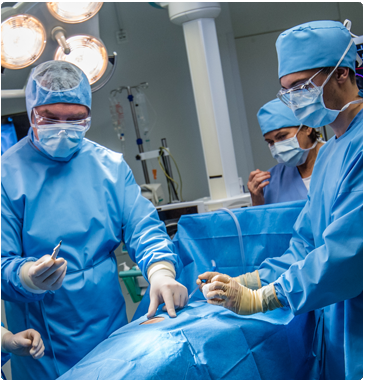 For same-day ambulatory surgery, make Spectrum Orthopaedics your first choice. To learn more about our surgery center, visit the OS3 website.